Are you a homeowner? Association or home building contractor? And are in a need of processing new construction or remodeling permits for the first time, Well you’ve come to the right place. Reducing the total cost of the permits. Eliminate long lines. We stand in line so you don’t have to. No need to drive from various building and safety departments. 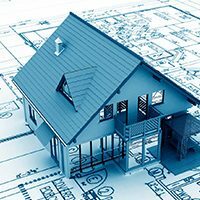 Construction permits is needed for all home new construction, a permit is required to build, construct, remodel, repair,demolish,remove or move any building structure including garages, patios, fences, accessory building or something simple as replacing a window, plumbing or electrical. We proudly serve, Miami Dade and Broward county cities. Let us handle your permit request right from the beginning.